Here at The Millennial Bull you will hear me talking a lot about being an entrepreneur. You will read a lot of articles that encourage you to go beyond your regular 9-5 job. Articles that will inspire you to go and take a leap of faith on that business idea you had. Below is a list of things entrepreneurs may not be doing/considering when starting their first venture. The most common mistakes made by entrepreneurs is not adopting some of these basic suggestions. Obviously, the above list is not exhaustive but you get what I mean. It doesn’t make sense to quit your full-time job that pays all your bills and puts food on your table just to take a shot at the entrepreneurial life without proper preparations. Doing so means you are setting yourself up for failure before you have even started. Doing the above will cause you to have to quit your project sooner than expected. You need to give it enough time and effort to really know if it can be a successful endeavor. For the most part, it takes more than one try to be successful in this game. You need to have thick skin to be able to accept that you will sometimes fail. In fact, you will fail over and over again until you finally succeed. This is why I say to be prepared financially for at least a year. It takes time to work on a project 20-40 hours a week before you can enjoy the fruits of your labor. 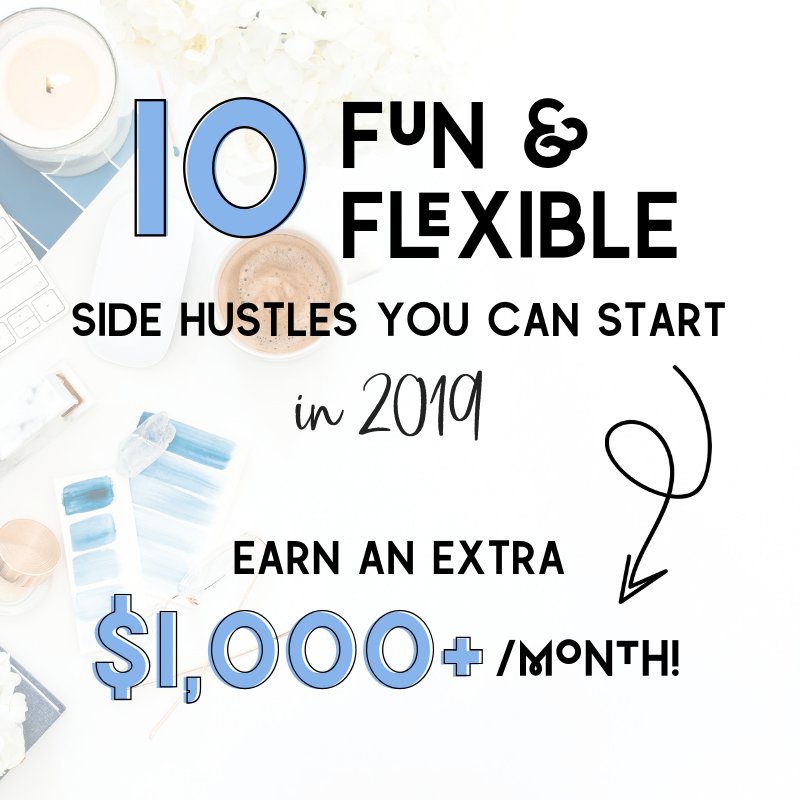 That’s right, give your side hustle at least 20 hours a week of your time! Most of those 20+ hours will come from your weekends so you will unfortunately have to give up some of your weekend activities. On the plus side, you will be able to visit more cafés (if you catch my drift). You may be fortunate and be successful immediately. However, I am here to prepare you for what will most likely happen. The most likely path is that you will be working late nights for at least six months before you finally see light at the end of the tunnel. I’m here to make sure that you are properly prepared, not to give you false hopes and dreams. If I do, you will be cursing me and asking me why I didn’t warn you that this won’t be easy. Although it may not be easy, it sure will be worth it! I currently work for a boss that owns a successful financial consulting firm. Before he started this business with his partner, he tried starting a different firm that failed. He had millions of dollars saved from his days in the corporate sector and decided that he wanted to try opening up his own firm. Needless to say, he failed. In short, the business had challenges that he did not expect and the challenges were more than he could handle so he had to exit. After he failed at that business, he went back into the corporate world again so that he could recoup some of the money he burned in the business that failed. Years later, he had enough money saved again (multiple millions) and tried opening a different firm. This firm succeeded and is the firm he has today that is making him millions more. He makes his own hours, comes to work as early or late as he wants and leaves as early or late as he wants. It is his company and yet he puts in as many hours as the rest of us working for him (10+ hours a day). When he decides to have a short day, he puts in an 8-hour day. Sometimes my boss is in the office at 5am because he “couldn’t sleep”. The beauty of having your own business, even when you are working long hours is that it doesn’t feel like working. Right now, I am typing away at a beach bar but I honestly don’t feel like I’m working at all! Notice that it took my boss two tries before he could succeed at having his own multimillion-dollar firm. The point of that story is to let you know that you can’t give up. More successful people than you and I have tried the entrepreneurial path and have failed on their first try and others have failed on their second, third and even fourth try. The point is to never give up. Work hard, be determined to succeed and persevere. Give your business a full 8-hour work day. Just because you’re your own boss doesn’t mean you should be working less hours than you would have working for someone else. This is your baby so you need to be putting in more hours than the normal 9-5. You should be putting in those hours until you are making enough money to afford not to. If that’s the case, set the business up in a way that allows you to hired people that can do your daily tasks so that you can spend more time surfing or traveling. No one is going to be getting things done for you. If you don’t work, you won’t make any money. If it’s passive income, you will make money but the revenue will decrease without the proper attention. If you have your own business, you shouldn’t be waking up at 10am or 11am to work. You should be waking up at no later than 7am every morning (most successful people are up at 6am every morning). Wake up early and get a workout in. Walk, run, gym etc., then get your day started. This type of discipline will help you operate on a schedule. To be successful, you need to get on a daily schedule. You can’t just wake up whenever you want and start working whenever you want. It’s o.k. to do that sometimes, but you need to be regimented. That’s right bulls. First thing you do when you wake up is you make your bed. My mother taught me this before I was even in grade school (I think I was around 6 years old). She told me that if you make your bed in the morning as the first task of the day, no matter what you do after that, you at least know that you have accomplished one thing so far. Making your bed is your one accomplishment for that day before anything else. I’ve found that doing this allows me to be more productive and less lazy. You will also find that making your bed first thing every day allows you to also see the mess around your room. After making your bed, you will tidy up a bit and your surroundings will be more habitable. The second task of the day is taking a shower. Some of you might roll your eyes and think “who doesn’t shower in the morning?”. Others will say “shower in the morning? I shower at night so why would I shower in the morning?”. The answer is simple, and is relatable to “making your bed”. It’s about cleanliness and feeling accomplished. You want to start off your day feeling accomplished. Having two sets of tasks done first thing in the morning allows you to flow right into other more productive tasks. Getting a workout first before showering is a huge plus because it allows you to have 3 tasks done before the day even begins. This is one of those things that are simple and allow you to start your day on an accomplished note. 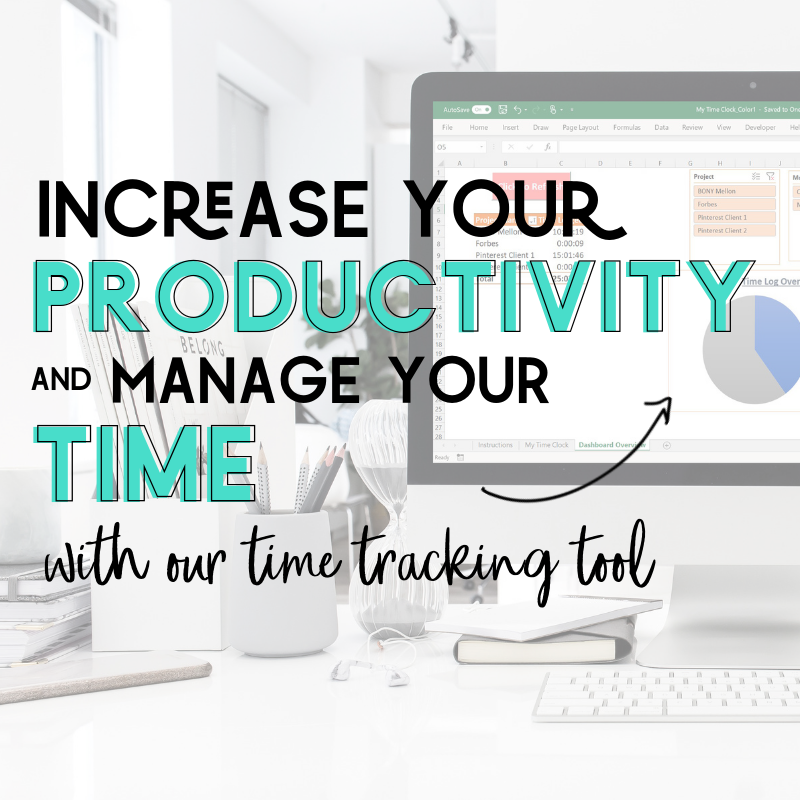 The goal here is to help you increase your productivity. Working out does not have to mean getting a gym membership and lifting weights (although I highly support that). It can be something as simple as going out for a daily 2-3 mile walk. Working out has been proven to help the body and mind. If you are the type that gets tired easily throughout the day or the type that needs a lot of coffee to help you get through the day, working out will help you more than you’d expect. As an entrepreneur, you need to have a schedule of what needs to get done. You need to be able to envision where your project will be six months from now, one year from now. After you do that, you then go to your excel sheet and start making a plan. 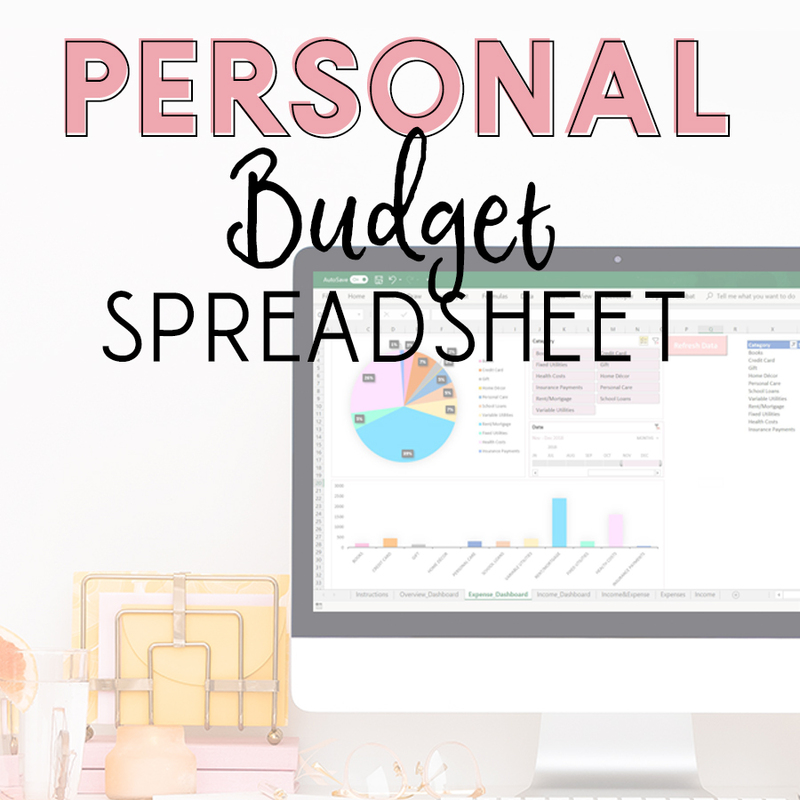 I’m big on using excel sheets as you will soon find out. To come up with my goals, I first thought about how many visitors I want to roughly have in one month. Then I broke that down further and calculated how many visitors I want to hit per day (sessions= visitors). I did a lot of research to come up with those numbers. They weren’t pulled out of thin air. I visited different finance related blogs. Note that I didn’t say I visited cooking or accounting blogs because the data would not be as relevant considering that I am not writing about cooking and accounting is not my finance blog’s focus. I went through their income reports, tried to go as far back to the beginning as possible. This is when I realized there aren’t many bloggers out there where they show you exactly how they did on month one but there were a few. Those websites bragged about having 30K visitors during their first month blogging, 60K visitors in just the third month of blogging etc. I decided that these were the outliers. 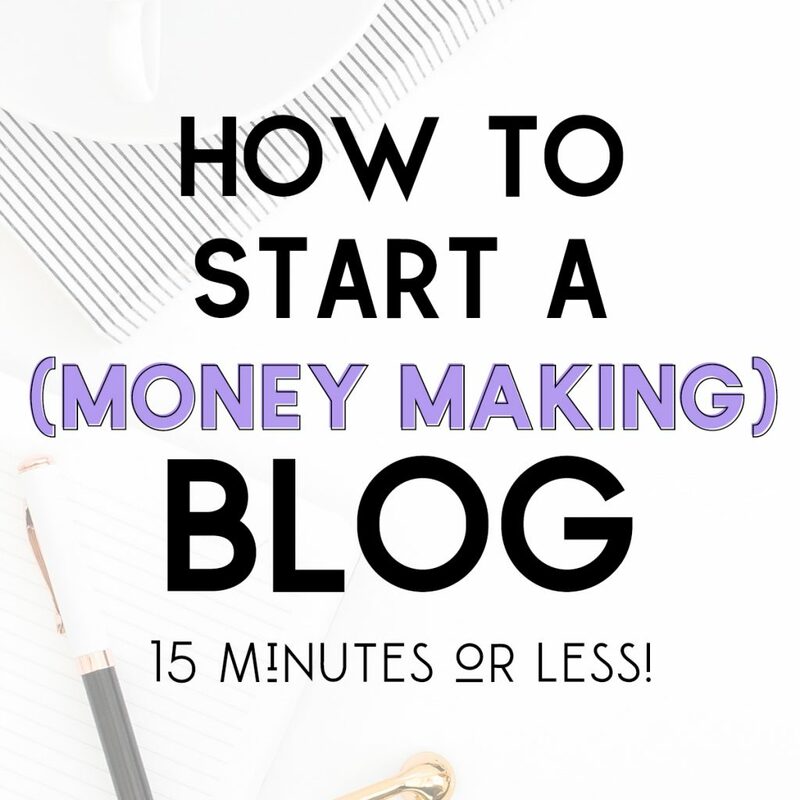 These bloggers didn’t start sharing their information until they realized they were taking off and fast. 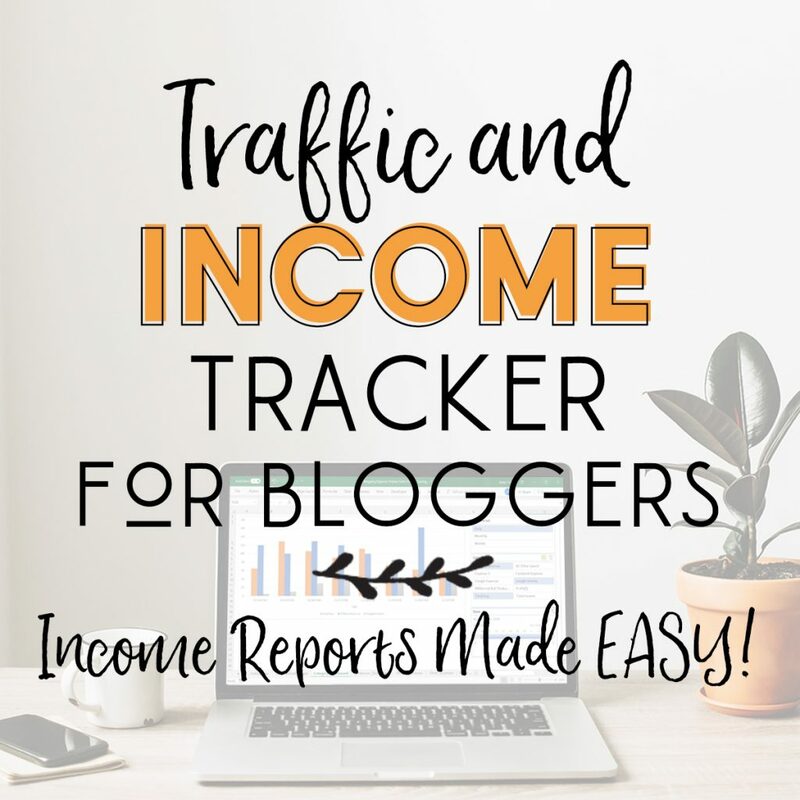 So, I decided to dig around further for smaller blogs that were reporting 10K visitors a month or 3K visitors a month. If that was what they were getting and they were reporting from the first and second month, then that is probably where I will be as well. Then, I kept researching to see where they are now compared to when they first started. If they can hit those numbers while working a full-time job, then I can too. I believe in myself and I know that I can achieve a lot if I put my mind to it. If they can hit x visitors a month in month one, I should be able to hit at least x visitors as well. I of course take into account how they did it. Did they have a specially advantage that I may not have? Again, this is taking into account how realistic their reporting is. For example, did they somehow already have 100K twitter followers and 10K Pinterest followers before launching their blog? If they did, then I can’t compare The Millennial Bull with that blog because The Millennial Bull currently only has 15 Twitter followers and only 1 Pinterest follower. I scrutinize their reporting with a fine-tooth comb and then I decide if their data should be included in the group of bloggers that I want to compare The Millennial Bull with (I’m being diligent). This is how I came up with my plans for the next six months and then developed a schedule around those plans. There is another excel tab in my workbook where I write down future content ideas and I cross them off as I go. I try to write the ones that can be linked to the articles I already have. Doing this allows me to offer my readers more useful resources/content that will further help them on the topic they are already engaged with. This goes hand in hand with the tip above about planning and having a schedule. For example, I already told you how I have an excel sheet with multiple tabs strictly for The Millennial Bull. I have another tab for articles that I have written. In the tab, I note if the article is complete or not, if it has been edited and if it has been posted. In terms of editing, I don’t think I am a bad writer however, I don’t think you should ever write anything that others will read without making sure that it has been properly edited. This doesn’t mean that I won’t have grammatical or spelling mistakes in my articles, it just means that they are much less likely to happen. I also have a “to do” and “SEO” tab. The to do tab contains a list of things that need to be done in order for me to hit my goals. I add to this tab whenever something comes to mind. Then, I write “done” after I have accomplished the task in a column labeled “status”. The SEO tab contains all the information I have gathered on search engine optimization. This is so that I can be able to gain organic traffic from google and other search engines. I spent a couple days just researching all the SEO techniques and tricks I can use for my blog. This information was gathered from a handful of SEO bloggers such as Searchengineland.com. I just disclosed to you one of the websites I researched to get some of my SEO tips. That is one of about 4 other websites I consider to be my “resources”. I can’t stress this enough guys… Do your research! Not doing your research on the business you are in is a sure way to guarantee failure. Make sure you know your market. Know how you will get your customers. Understand where the possible roadblocks may be. Make sure you read everything you can find that will help increase your probability of success. As I mentioned before, statistically, you are likely to fail so, make sure you do your best not to by arming yourself with knowledge of the industry you are in. We are taught in school to research before doing an experiment. First you need to know what you will expect, then create a hypothesis on what the outcome may be and then do your test. Yet many people when it comes to business ignore all they have learned and just go straight into experimenting. This is one of the biggest common mistake made by entrepreneurs and is a sure path to failure as well. If I could rank these common mistakes, I would rank this as mistake number one. As entrepreneurs, we tend to be very anxious and impatient. We want to get our product out there as quickly as possible before it is even ready. I make this mistake as well. Our first and only goal is to make money… to generate an income. However, we forget the simplest step of all this. Before we can even generate any revenue, we need to first have customers. I’m going to be honest with you guys. This is not my first entrepreneurial activity. As a child (8-13 year of age), I made money shoveling snow around the neighborhood every winter. I realized that there were people who were too lazy to want to shovel their driveways and sidewalks. These people were willing to pay $30 and sometimes even $50 for someone to shovel for them. I convinced a friend of mine to come with me and shovel driveways by hand every time we had a big snow storm (which was often enough). In one day of shoveling I would make a couple hundred bucks after splitting the revenue with my friend. My other business endeavor was opening a barbershop in my dorm room at my university. You can read more about it here: What I learned From My Dorm Room Barbershop. In that article, I tell you exactly how I started the business, the troubles I ran into and what I learned from it. One of the things I learned was that an entrepreneur needs to focus on their customers and not their revenues. Revenues will come once the customers are there. However, if you are trying to focus on both early on, it will take you much longer to reach the point of profitability. Wow! 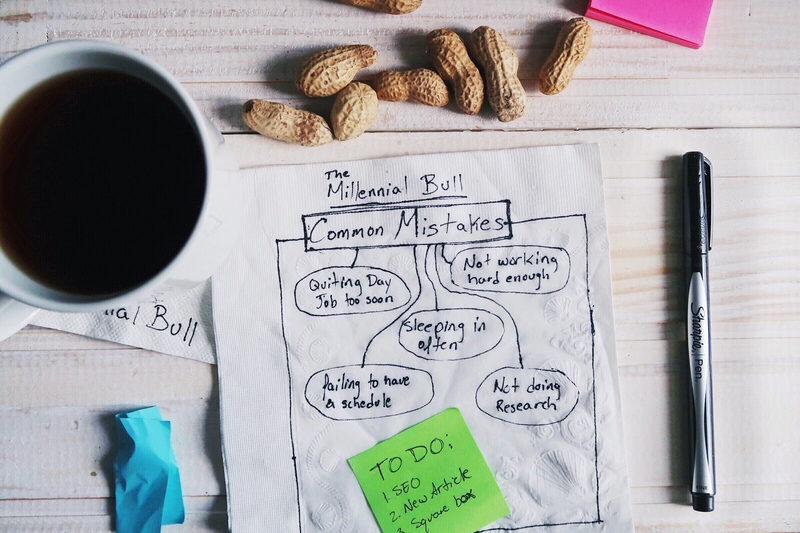 This was a long post but I guess it needed to be in order for me to go into detail on 10 of the most common mistakes to make as an entrepreneur. Let me know your thoughts in the comment box below. I’m sure there are other common mistakes that we make that I didn’t mention. Let them be known below so our fellow entrepreneurs can consider them as they start their next big venture. Also, please be sure to [spu popup=”1405″]subscribe[/spu] and join The Millennial Bull family!